At N.J. McCann Plumbing & Heating in New Hyde Park, New York, you can count on us for oil-to-gas conversions and boiler service. We’ll help keep you warm and save you money by ensuring you have the latest equipment that works properly. We will provide you with a free written estimate and our office staff is available to go over any questions you may have regarding your proposal. Oil-to-gas conversions save fuel, energy, and money, and they can get you rebates from National Grid™. N.J. McCann Plumbing & Heating is a Value Plus installer recognized by National Grid, and our services can save you between 30% and 40% on your heating bills. Additionally, gas burns cleaner and is better for the ozone layer, and the work can be completed in just one day in most cases. We install Burnham quality products with confidence. They are the boiler company of choice for National Grid's gas - heat conversion incentive program! The quality of your installation has more to do with the lifespan of your furnace than any other factor. 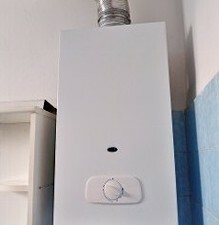 A boiler is an investment and you want to make sure that it lasts as long as possible. Proper installation is critical to its lifespan and its efficiency. When a trained and experienced NJ McCann Plumbing & Heating technician installs your boiler, you can be sure everything is done to code and your boiler is set to optimum efficiency. Count on our team to provide maintenance, cleanup service, emergency service, and replacement of your boiler system. Maintenance can save you a lot of headaches and money by keeping your boiler running clean and more efficiently, and we work with any type of boiler system, including hydronic, burning, steam, and warm-air systems. Additionally, we install radiant heating systems, offer boiler service, and repair everything your system requires, including return lines, motors, and every other part. Contact us for reliable oil-to-gas conversion and boiler services.